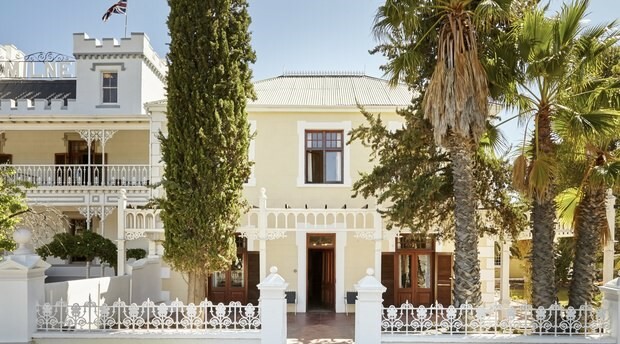 Matjiesfontein offers everything that a world-class destination does—yet is wholly unique in the hospitality industry. Step back in time in this tiny village on the fringe of the Great Karoo, founded in 1884 by legendary railway man, James Douglas Logan. Immerse yourself in living history; a tribute to the early Karoo, the Anglo-Boer War and Queen Victoria's England. Explore the historic ambience of the famed Lord Milner Hotel, its old world charm, gracious servers, and elegant décor—not to mention discovering its ghost stories. Dine by candlelight in The Hotel Dining Room while being served by red-jacketed porters. Other accommodation options include the Olive Schreiner Cottage, private suites set by the pool, or along the riverbank, and more. 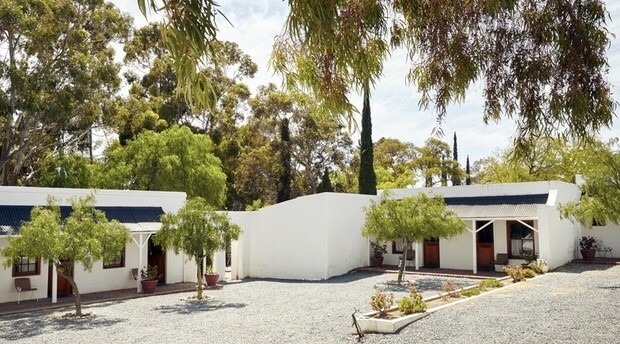 The sprawling, well established garden is an oasis of green in an otherwise dry and sparse Karoo that not only attracts visitors looking for relaxation and respite, but also a diversity of birdlife. Guests can enjoy a pint and a pub lunch in the atmosphere of a bygone era at the Laird’s Arms, or tuck into freshly baked scones and pastries and light lunches at The Coffee House, complete with a burbling fountain. Though small, Matjiesfontein has plenty of attractions to keep visitors enthralled; from the Marie Rawdon and Transport museums, to the courthouse and jail, the British Army Remount Camp and sightseeing tours in the old English Bus. Delve into Matjiesfontein’s cricketing history and marvel at the antiques. THE LORD MILNER HOTEL: On the fringe of the Great Karoo, the Lord Milner Hotel appears as if out of a conjurer's hat: an authentic tribute to Victoriana, and the heart of Matjiesfontein Village. 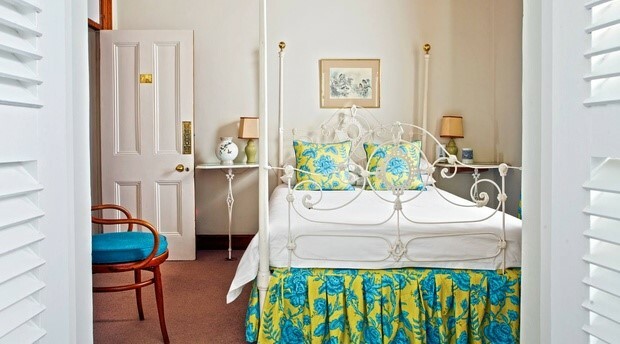 The Lord Milner is a graded three-star heritage site hotel and offers 15 classically furnished historic standard double rooms, and historic luxury and single rooms. Take a step back in time, to hear history’s palpable heartbeat—while the rooms have been tastefully updated in terms of linen and bathroom facilities—the experience will take you back to the Karoo of old. The hotel was named for Lord Alfred Milner, who was the governor of the Cape during The South African War (Anglo-Boer War). The gracious grand dame was completed in 1899, and shortly thereafter served as the Headquarters of the Cape Western Command. At The Lord Milner Hotel, historic ambience, old world service and classic comfort combine. 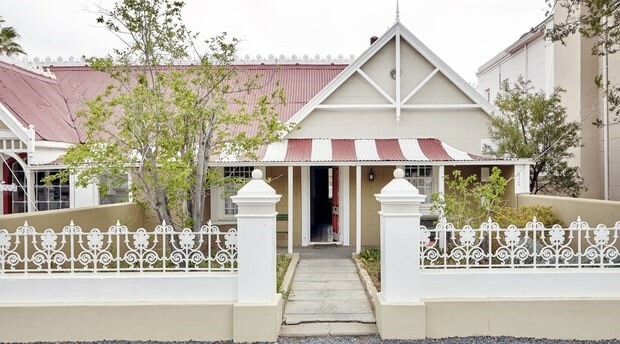 OLIVE SCHREINER COTTAGE: The Olive Schreiner Cottage, named after the famed South African author who wrote The Story of an African Farm, is a luxury two-person cottage on Logan Street, the historic main street of Matjiesfontein. The cottage is situated next to the Post Office and offers a bedroom with en-suite bathroom including both a bath and shower, and the classically furnished Schreiner lounge. RESTON VILLA: The Reston Villa has a distinctly Mediterranean atmosphere with its large shuttered doors opening onto a private terrace, shaded by palm trees and bougainvillea. Four large suites provide superior accommodation, set within their own garden away from, but close to, the main hotel. The ground floor bedrooms have shuttered French doors opening onto their own verandas. Reston Villa was once occupied by James Logan's son (also James), his wife and two stepchildren. 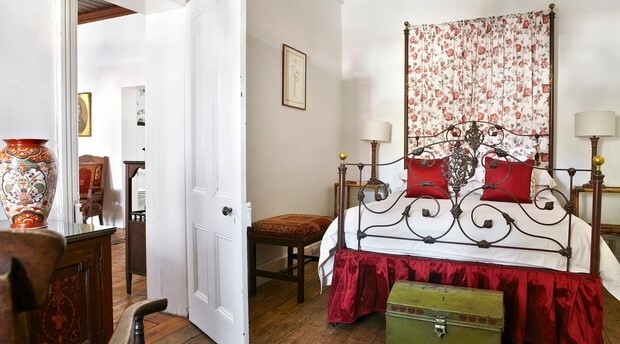 THE OLD MUSEUM SUITE: The Old Museum Suite is a classic historic cottage on Logan Street, close to the hotel and next to the Laird’s Arms, this suite offers three bedrooms sleeping up to six people, with two bathrooms, each with bath and shower. THE SWIMMING POOL SUITE: Matjiesfontein’s Water Works were officially opened in November 1889 and the grand occasion was dubbed 'Water World', attended by many celebrated politicians and personalities. The swimming pool—dug out of a stone basin—is set amid a lush garden; a fertile desert oasis that attracts diverse birdlife. 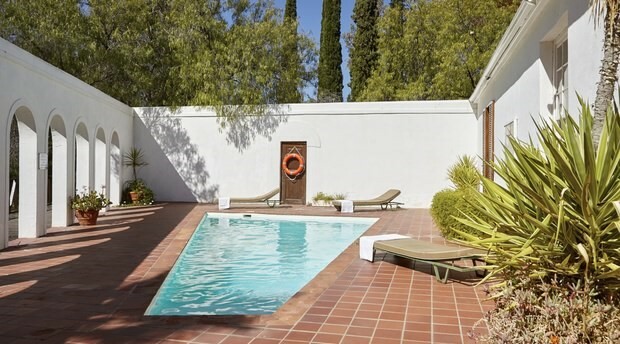 The Swimming Pool Suite offers two luxury bedrooms, opening onto a private courtyard patio with access to a swimming pool and a wooden terrace overlooking the Monument River. The suite is located in the hotel gardens on the riverbank terrace next to the Traveller's Chapel, and caters for up to four people, minimum two persons sharing. THE RIVERBANK ROOMS: The Riverbank Rooms all have en-suite bathrooms and balconies that overlook the Monument River, which is dry in the summer months. These rooms each have a nearby parking bay. THE GARDEN MEWS ROOMS: The Garden Mews Rooms each have an en-suite bathroom with shower, while one room has a bath and shower. Each room has a nearby parking bay. 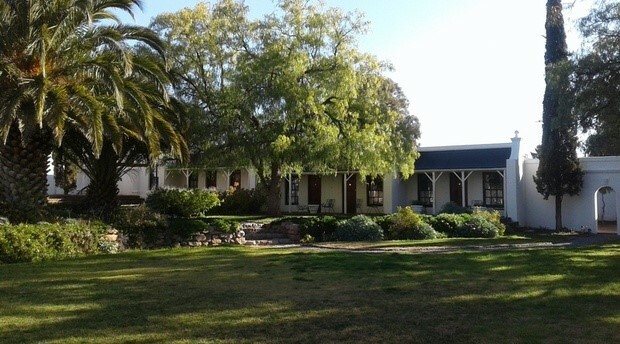 Matjiesfontein provides a unique setting for any occasion. Business seminars, conferences or workshops are conducted in our quiet, historic lounges, the Court House or Transport Museum. We can comfortably accommodate 97 guests, and should your group exceed this number, we do have reliable accommodation partners in the close vicinity of Matjiesfontein to accommodate the rest of your group. We offer the following: Venue, accommodation, (tables, chairs, cutlery, and crockery for up to 120 guests), waiter service, bar service, white table cloths and white chair covers. The Lord Milner has a fully licenced bar and kitchen. Please note that conference dinners will be for 30 delegates or more. Should the conference be less than 30, delegates will make use of our restaurant in the hotel for dinners. The Lord Milner Hotel has seven venues available and capacity ranges from 30 up to 120 guests. The old Court House was built in 1897. The venue, with its panelled walls and raised stage for seating of the judiciary, provides a historic backdrop for a small party or seminar with seating for around 60 guests, dependant on seating arrangements. Matjiesfontein has two unique chapels that were built at the turn of the century. The quaint Traveller’s Chapel is located on the river bank within the hotel gardens. The imposing Pink Church is also off the gardens, but a little closer to the Transport Museum. •	All children are welcome. • If a reservation is cancelled / reduced between 29 days or less prior to arrival there will be a 100% cancellation fee will be levied on the total invoiced amount. From Cape Town: We are located 250 kilometers from Cape Town just off the N1. We are 110 kilometers north of Worcester and 30 kilometers south of Laingsburg. The village is also accessible by train with the train stopping daily from Cape Town.